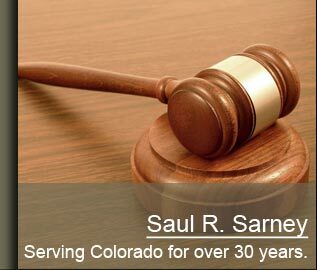 Commercial Trucking Accident Lawyer Saul Sarney Can Help. Every day, large commercial trucks and big rigs drive through Colorado on their way across country. These truck drivers have a responsibility to ensure the safety of those around them by driving carefully and obeying all driving laws and trucking regulations. Unfortunately, this is not always the case and when truck drivers are negligent, they put themselves and everyone around them in severe danger. An 80,000 pound, fully loaded big rig is extremely dangerous and not very easy to drive. Truck drivers must be properly trained in order to handle them safely---especially in hazardous weather or emergency situations. When a truck driver fails to drive safely or obey the traffic laws, catastrophic trucking accidents can occur. Unfortunately, when trucking accidents do occur, it is the passengers in the other vehicle who sustain the majority of the injuries and the damages. While there are many types of truck driver negligence, the most common ones are driver fatigue, driving under the influence of drugs or alcohol and inattention while driving. In addition, an improperly inspected vehicle or an insecure load can create a dangerous situation on Colorado's highways. Truck drivers and trucking companies are responsible for ensuring that their vehicles are within the proper weight restrictions and that their truck loads are secured. The Federal Motor Carrier Safety Administration (FMCSA) has strict laws in place that govern truck drivers and trucking companies. These trucking regulations are essential to ensuring the safety of all those who drive on Colorado's roadways. If you or someone you love was injured in a trucking accident, it is important to contact a Colorado trucking accident attorney immediately. Your trucking accident lawyer will need to review your case to determine if truck driver negligence contributed to or directly caused your accident. In many situations, the truck driver AND the trucking company may be responsible. As a result, you may be entitled to compensation for your injuries and for any damages that have occurred. Don't delay. Trucking companies often have large legal firms dedicated to protecting their assets and reducing their liabilities. As a result, they may try to deny the accident, shift blame or offer to settle quickly. Unfortunately, these settlements are often a fraction of what you may deserve and need to fully recover. 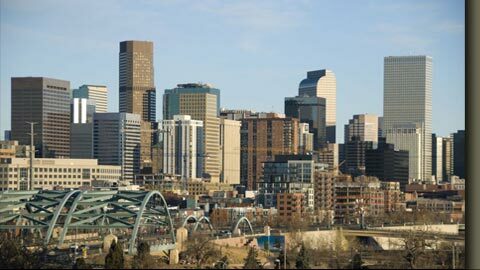 You need an experienced Colorado trucking accident attorney on your side to aggressively negotiate with the trucking companies and their legal team.